All employees of ABA Connections complete extensive training prior to working with clients. This training includes a 40-hour curriculum that follows the Behavior Analyst Certification (BACB) Task List for Registered Behaviour Technicians, competency assessments, observations, and ongoing supervision by the Clinical Director and Senior Therapists. Our clinical team includes Board Certified Behavior Analysts, a registered Social Worker, Senior Therapists, Lead Therapists, Instructor Therapists and Junior Therapists. To learn more about clinical positions click here. Leigh holds a BA Honours Psychology from Carleton University; as well as a Master of Applied Disability Studies in Applied Behaviour Analysis from Brock University. In addition, Leigh possess an Early Childhood Educator Diploma from Loyalist College. Leigh is a Board Certified Behaviour Analyst with over 10 years experience in the field of Applied Behaviour Analysis. 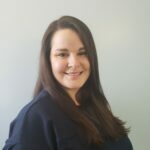 Leigh specializes in providing evidence-based early intervention to children diagnosed with an Autism Spectrum Disorder through the application of Applied Behaviour Analysis. Leigh posseses clinical knowledge in focused and comprehensive ABA therapy, social skills training, toilet training, augmentative and alternative communication, safety skills, daily living skills, functional communication, vocational training, community participation, emotional development, play and leisure skills, and self-advocacy and independence. 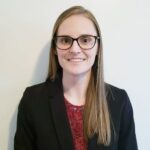 Anna holds a Bachelor of Arts degree with a double major in Political Science and Sociology from Carleton University; as well as a Master of Social Work degree from the University of Toronto with specializations in Health, Mental Health, and Community Development. Anna is a registered member of the Ontario College of Social Workers and Social Services Workers who specializes in supporting children and families impacted by developmental, learning and behavioural challenges.